Solid middle class jobs can be found in many different fields of study. ChooseFI has featured opportunities for entry into the middle class from being a golf caddy, an air traffic controller, or a Registered Nurse. Or, you could forego college and find excellent opportunities in trade professions. Workers can start as an apprentice, receive on the job training, and work their way up to journeymen. Community and tech colleges also produce many financially feasible options, and endless opportunities abound in self-education in our digital age. Today, I would like to focus on one of these opportunities. 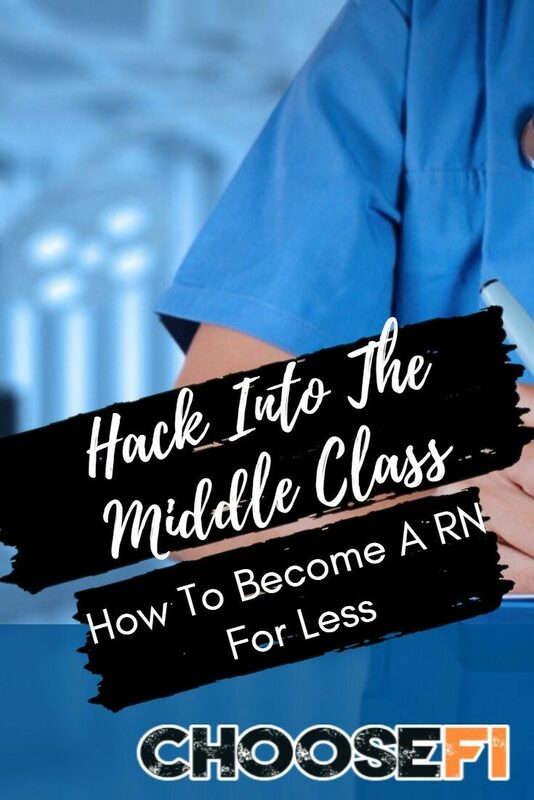 Here's one of the best strategies for gaining entry into the middle class and hacking a RN degree. Nursing degrees can be obtained in as little as 2-3 years with an Associate's Degree in Nursing (ADN). This degree allows a student to sit for the nursing licensure exam and gain the Registered Nurse title. ADN RNs work in almost any healthcare setting, including: Hospitals, nursing homes, home care, hospice, school nursing, occupational nursing, and many other settings. Many community colleges have existing Associate's programs for nursing. But, many hospitals prefer or require a Bachelor's Degree (BSN) in nursing. However, with our aging population and the high demand for nurses, this preference is often foregone. Plus, many hospitals that require a BSN will give the nurse five years to gain their BSN often with tuition assistance. Start with an Associate's Degree at a community college. Obtain employment in a patient care setting. Utilize employer tuition reimbursement to gain Bachelor's Degree. Find reasonable RN to BSN online programs. Community college degrees can be accessed for a fraction of the cost of regular four-year universities. The average cost of community colleges for the 2017-2018 academic year was $4,868 according to community college review. In the Midwest, new graduate RNs can find many opportunities for employment. Many of these employers have funds available for tuition reimbursement for RNs looking to gain their BSN. Tuition assistance typically comes with a commitment to continue employment for a set amount of years (typically two years). Or, a quick search can yield many options for ADNs to gain their BSN online. Searching for reasonably priced institutions will yield the biggest return. Many in-state universities will offer these programs and will be some of the more logically priced colleges. If you get a BSN, your options as a nurse may increase. Some hospitals, like the Department of Veterans Affairs, will pay more for nurses with a BSN. The average starting salary for registered nurses nationwide is about $61,000. In my state most registered nurses start around $45,000-$48,000. 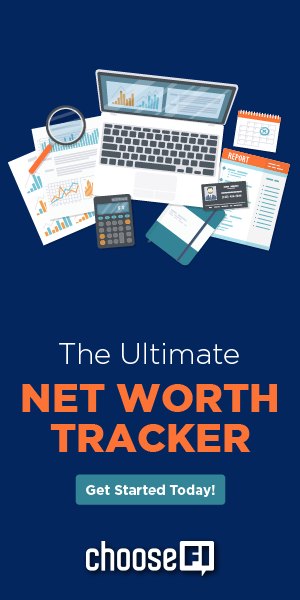 However, with shift differentials and a few overtime shifts $61,000 stands as an attainable goal. There are numerous opportunities for PRN (as needed) or even part time travel shifts. All these possibilities can increase your salary without too much effort. I attended a community college out in Wyoming. 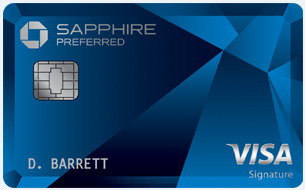 The cost was $77 dollars per credit hour approximately eight years ago. Presently, tuition has increased to just over $200 per credit hour. My family and I lived off campus at the time. Therefore, no room and board was required. We were paying $750 per month for rent and payed around $100 per month for utilities. To save even more money, my in-laws offered their basement and garage for us to live in while I attended nursing school. I had a Liberal Arts Degree which allowed me to avoid almost all non-nursing classes. This community college was united to the only public university in the state and this permitted studying BSN courses while enrolled in the ADN program. The state had an investment in a nursing loan forgiveness program. They would loan you a certain amount of money each year, and once graduated the nurse would obtain employment in that state. After two years the state would forgive the debt. I applied and got my first year's tuition paid for through this program. My college encouraged students who were married and had children to apply to a specific grant program. This grant paid for tuition and helped with living expenses while in school. The grant allowed dental hygiene, nursing, construction, welders, electricians, and a few other majors to join as well. I was accepted my second year into this program and paid no tuition. Two years later, I graduate with my BSN from the University of Wyoming, and had no debt! I used my current employers expense reimbursement which covered $500 a semester with at least a B average. Being a registered nurse is not a career for everyone. There tends to be lots of bodily fluids, verbally abusive patients, back breaking tasks, thankless days, and mentally numbing situations. You'll see people at their most vulnerable, and you'll have the opportunity to make a positive impact on their lives. If a career in healthcare interests you, look for alternative ways to get into nursing without the large upfront cost of an expensive Bachelor's Degree. Any other nurses out there have other ways to hack an RN degree?